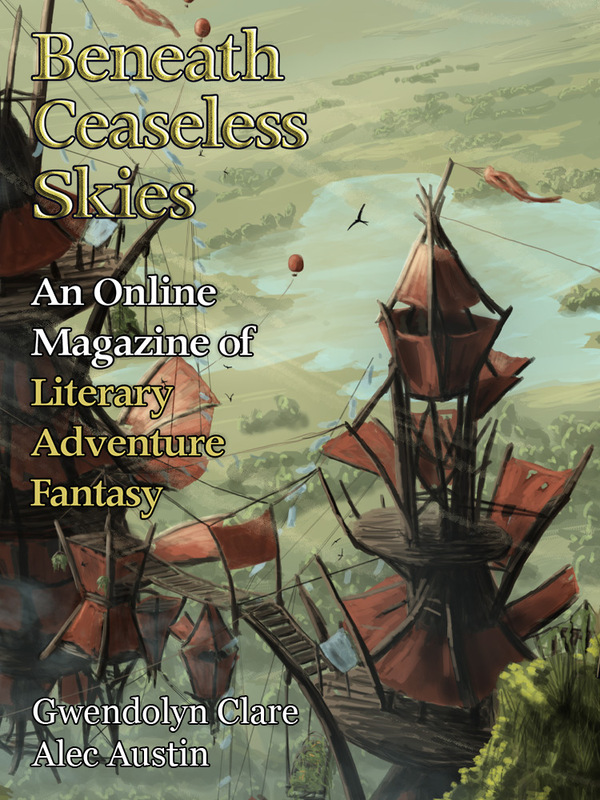 "Nothing But the Sky," by Gwendolyn Clare, appeared in the June 9, 2016 issue of Beneath Ceaseless Skies (Issue 201). Pro: Dorial does in fact track down the niece, and she offers him an even better way to prove his worth to the empire. The princess's little clues are mildly entertaining. Con: The princess sure seems to have gone to a lot of trouble setting up this treasure hunt, and she put a lot of faith in her pursuer's ability to figure out the clues. It's rather hard to see why Dorial would believe in the princess at the end. Based on what we know, I'd have expected him to just take her home.